Enjoy more with your cellular network service as Smart launched their latest add on promo where you can enjoy unlimited Facebook access for only 2 pesos. 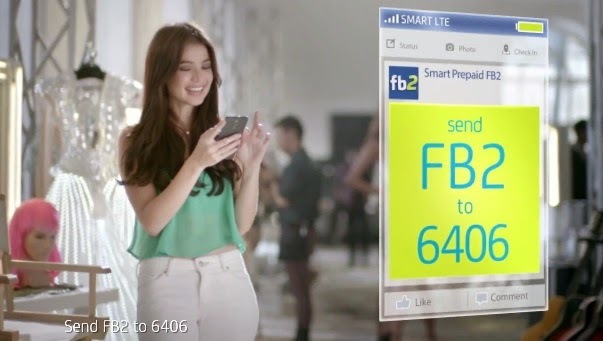 If you’re a prepaid subscriber on this network and currently registered to one of the Smart promos, then you can make use of 1 day unli FB for P2. Registration is pretty simple and easy, all you have to is send the code to a specific number using your Smart Prepaid SIM. With your FB 2 booster subscription you can enjoy browsing FB feeds, post comments, update status, request new friends, tag photos and join group chats. Check out the mechanics below in case you interested to try this promo. 1. Register or load any Smart Call and Text Promos. 2. Once your enrolled, make sure you have extra Php 2.00 load to avail the FB2 add on promo. 4. Wait for the message confirming that you are already registered and ready to use the service. 5. Lastly, watch out for external links pointing outside Facebook domain to avoid unwanted or extra charges. Make sure to turned off or restrict background apps as it will also cause separate charges from FB2 booster. This works on Android, iOS and other internet capable devices. Make sure you have the right Smart APN / GPRS Settings on your phone to properly connect to the internet and browse Facebook without any problem. Visit Smart for more details and validity of this promo. I cant use the FB2 offer. I can subscribe to the offer but can't use it. HELP!